For ages Hindu society have relied on the relationship compatibility based upon Vedic astrology principles. The Janam Kundali or the horoscopes of the bride and the groom are tested for compatibility which is known as Guna Milan. The Guna Milan is matching of 8 important tests known as Ashtkoot Guna milan. Each test calculated a certain number of Gunas (Point) which add up to give a total score. Tara Koot is an important part of Guna milan which refers to the agreement between the birth star of the girl and the Boy indicating well being and destiny of the couple. There are 27 Nakshatras or stars which are divided in 9 groups. For Tara calculation you should start counting the Nakshtras from the bride to Nakshatra of the groom and divide it by 9. The same is done from the groom birth star to that of the bride. If the remainder of bride and groom calculation are even number then the matching is auspicious and maximum 3 points are given. If only 1 of the remainder is even number then 1.5 points are given. If both are odd numbers then no score is given. If the remainder is 2, 4, 6, 8 or 0 then it is good. If the boy Nakshtra is Anuradha and the girl Nakshatra is Rohini. Count the Girl Nakshatra to the Boy Nakshatra, we get 14. Since the remainder is 5 it is not good. If the boy Nakshatra is Jyeshta and the girl is Poorvaphalguni. Counting from the girls constellation we get 8, since this figure is less than 9, it is taken as it is. Therefore in this case the Tara koota score is 3 points. The Nakshtra is Girl is Ashwini and the Boy is Chitra, Counting from Aswini to Chitra we get 14. Girl star is Ashwini and boy is Shravana. From Boy to Girl we see it is 22 and we see 22/9 = 2 (Quotient) and 4 (Remainder) – good for matching. Remember that Dina / Tara Matching indicated strong well being and destiny of the couple. Therefore a bad Tara Score is not good in Horoscope Matching. 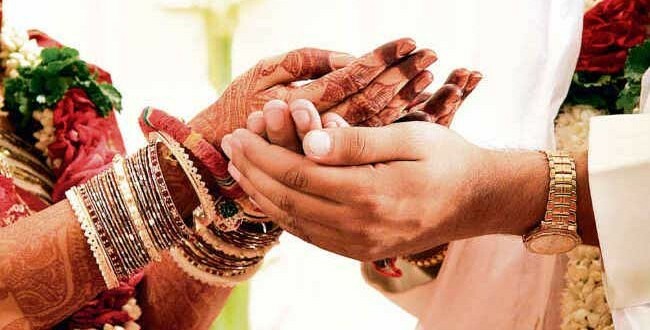 If there are other doshas in the horoscope matching , then marriage should be done consciously. You can always visit the Astrology Forum for getting your KUNDALI MATCHING for Free.